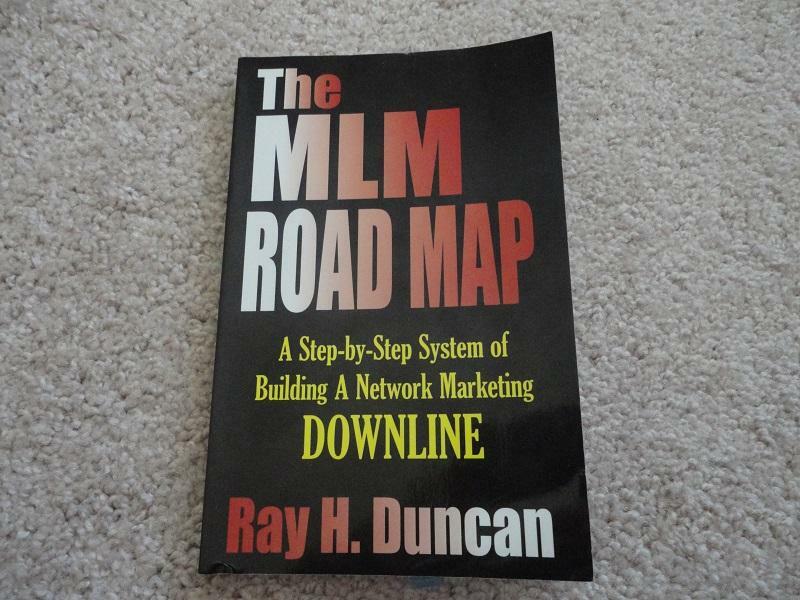 In today’s post I want to do a quick book review of “The MLM Road Map: A Step-by Step System of Building a Network Marketing Downline” by Ray Duncan. I stumbled across this book while I was doing a search for MLM books on Amazon. It didn’t have any reviews, but I figured I’d take a chance on it. I ended up buying a used copy on eBay for about $4, with free shipping. I read the book in about two days and learned a few valuable tips from it. What I want to do in the paragraphs below is share some of my favorite quotes and lessons from the book and provide my own thoughts on each point. The quotes are in bold and italics. After each quote I will add in my own two cents. The quotes are in sequential order. Let’s get started. # 1 Your commitment and the commitment of each person you sponsor should be a one year dedication. Without a doubt, you have to be committed if you want to be successful in your network marketing business. You have to set some goals, develop a plan, work your plan and give yourself a fair chance to success. The only way to do that is to commit to at least one year to your company, and preferably five years. This is not a get rich quick type of business. You have to put in the work consistently and be committed. After all, you wouldn’t start a restaurant or any other business and quit in 90 days or less, would you? # 2 You simply cannot sell anything unless you have thorough knowledge of it. You don’t have to be an expert or guru on your products, but you do need some basic product knowledge. The best way to do that is to use the products yourself, develop your own story, learn the benefits, the features, and the ingredients. Read the company literature about each product and familiarize yourself on the company’s core line products. You can easily do this in less than a month if you set your mind to it. I should also point out that it’s hard to sell something you don’t use (or believe in) yourself. It would be like owning a Chevy dealership but driving a Ford. # 3 You need to hold scheduled training meetings apart from opportunity meetings to improve the success of your downline. Most people on your team will need a weekly meeting or weekly training call to keep them motivated and keep them trained. If you leave people to try to figure things out on their own, most of them will quit. Local meetings really are important for the long-term success of your business. # 4 The three way phone call to a prospect is the best method of sponsoring new distributors. If you’re just getting started out, or you are helping your new team members get started, one of the best things you can do is three way calls with them. This lets you work smart and it helps them expose the opportunity to others right away. Most of your new people will not show a plan on their own. # 5 A good business card is the most economical tool you will ever use. Get a good business card. Don’t be cheap in this area. Make it look professional. Hire a graphic designer or have it done by someone who knows what they are doing. Don’t get the cheap ones and do them on your own computer. Your business card is a reflection of you. Your prospect will judge you by your business card, so make sure you make a good first impression. # 6 Your best method for building a super group of network marketers is to search out and recruit people who have a positive attitude — those who are already respected and have the desire to succeed. Ambitious people are all around us; we just have to learn to recognize them. You don’t want to try to recruit people who NEED the business. Broke and unemployed folks will seldom get involved or do anything. Instead, look for people who are already successful, confident, have disposable income and a large sphere of influence. Don’t pre-judge people, but try to work smart and focus on prospecting the right people. Ultimately, you are looking for folks who want a Plan B or part-time business, not folks who NEED extra money. Learn more about your ideal prospect. # 7 Generally, the more successful a person is already, the quicker he/she is to see the tremendous opportunity. Successful people are typically MUCH more open-minded about new ways to make money than non-successful people. It’s sad, but true. # 8 New distributors are often easier to work with than seasoned ones. What you will find is the longer people are on your team, the harder it is to get them to do anything. Most people develop routines and get set in their ways. It’s hard to revive the dead. Your newest people are the ones with the most excitement and enthusiasm. Work with those folks whenever possible. Learn more about who to spend time with on your team. # 9 Too many quality people give up before they get started, and that is a terrible shame. Rome was NOT built in a day. You won’t build any type of successful business in less than a few YEARS. Most people have unrealistic expectations about their network marketing business and they never even give themselves a fair chance to be successful. Discover what to expect in your business. # 10 If you make the mistake some distributors do and let your new distributors cool off, you may never be able to get them started. Give people more than a couple weeks in the business to figure things out on their own and they will disappear and never do anything. They will end up in the Witness Protection Program, and you will probably never hear from them, or see them again. You have to work with someone when they are still hot and excited. # 11 History tells us that all distributors have the best opportunity to sponsor two people during their first week of a program. Most of the people you sponsor will never sponsor ANYONE. You can improve the likelihood of them sponsoring people by working closely with them their first week or two in the business, when they are still excited. # 12 One of the most important aspects of advertising is to keep your ad in front of people each week. Repetition is key when it comes to advertising. If you just place an ad one week and stop it, you won’t do very well. Most people who see your ad will need to see it AT LEAST five to ten times before they ever respond to it. Make a goal to commit to weekly advertising in the same media for at least 12 months, before you decide whether it will work or not. Don’t try to be a one hit wonder! Learn more about classified ads and newspaper advertising. Like any book, there were things I liked and disliked about the book. Without a doubt, my favorite thing about this book was all of the sample ads that Ray provided in it. That alone makes it a good deal, as I see it. There are probably close to 50 different ads to choose from. The type face and font was bold and just hard on my eyes. Also, I wouldn’t put this book in my top 20 list, but I do think it would be a valuable resource in your leader’s library. Overall, I give it 3 of 5 stars. “The MLM Road Map: A Step-by-Step System of Building a Network Marketing Downline” was published in 2000 by Double Diamond Publishing. It contains 127 pages and comes in soft-cover format. To the best of my knowledge it is an out of print book, but it can be found online. Here is the author biography, right from the book itself. “Ray Duncan was the Director of the Lajitas Museum and Desert Garden near the Big Bend National Park, where he also operated a Real Estate Office and was Editor and Publisher of “The Lajitas Sun” newspaper. 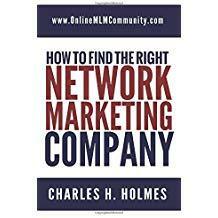 His interest in MLM began early when, as a youth, he was involved part-time with several network marketing programs. He became an avid student of the industry, and in 1990 started a full-time career which grew to include several corporate positions with network marketing firms. In summary, I enjoyed Ray Duncan’s book “The MLM Road Map: A Step-by Step System of Building a Network Marketing Downline.” I think it has a few Golden Nuggets in it that would benefit any network marketer. As I mentioned above, the sample ads are my favorite thing about the book, and if for no other reason, you should get the book to see the ads. What are your thoughts? Have you read the book before? If so, what do you think? Leave a comment below to share your thoughts. I look forward to hearing from you. It is true that there are a host of people who get into MLM who clearly have the talent and skill to make the business opportunity work well for them, but they lack the patience or the determination to press forward in order to make it to that point. I know that there are two times I can recall when I knew the person was “the” person to take the business opportunity to the next level because they had the intellect and qualities that made them a perfect fit. However they did not have the drive and simply gave up. It was hard to see, but you cannot make someone want something. It’s true. People have to really want it to be willing to stick it out. This sounds like a very good investment just for the sample advertisements. In some cases, it can be difficult designing an ad, and if for $4, you received 50+ sample ads, you received a great deal. Another thing that the author mentioned is a high class business card. I am in firm agreement with that thought pattern. Many people will judge you by your business card. If it is stylish and informative, they will be more apt to do business with you. I would love to read this book too. I will have to put it on the list. Thanks sir. Yes, good business cards are a must. # 6 Join Our Money Line! This website is for educational purposes only. All businesses come with a certain level of risk. Individual results will vary. Any company names we mention are registered trademarks, owned by the parent company. Any product we discuss is not designed to treat, cure, prevent or diagnose any disease. We may earn an affiliate commission from some of the products we recommend. Get My FREE eBook "The Secret MLM Website Strategy"
I Want a FREE Copy, Chuck!